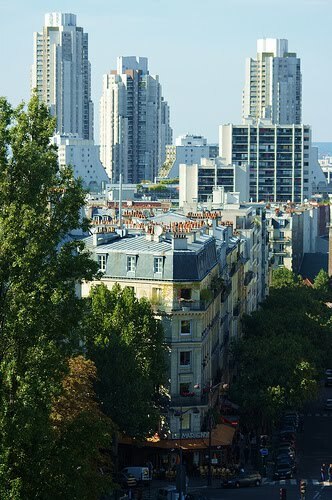 Hills, cliffs, streams and waterfalls … you won’t believe you’re in Paris! This park has the most fantastic scenery. They raise ducks on the lake, and there’s a floating ferry service too. You can order a crêpe at the little café down by the lake. 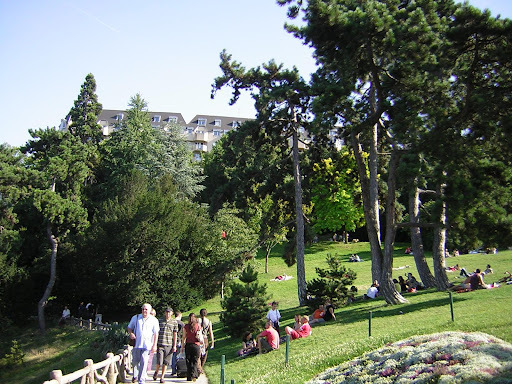 The park is located at the metro stop Buttes Chaumont on the ligne 7 bis. It lets you off at the top of the hill, where you can stroll through the winding slopes and lawns. 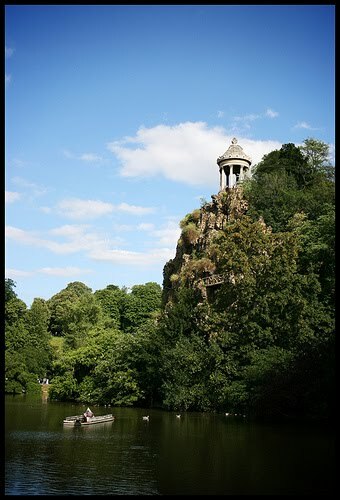 There’s a bridge from the hill to this island cliff in the lake and it’s cute litte gazebo. 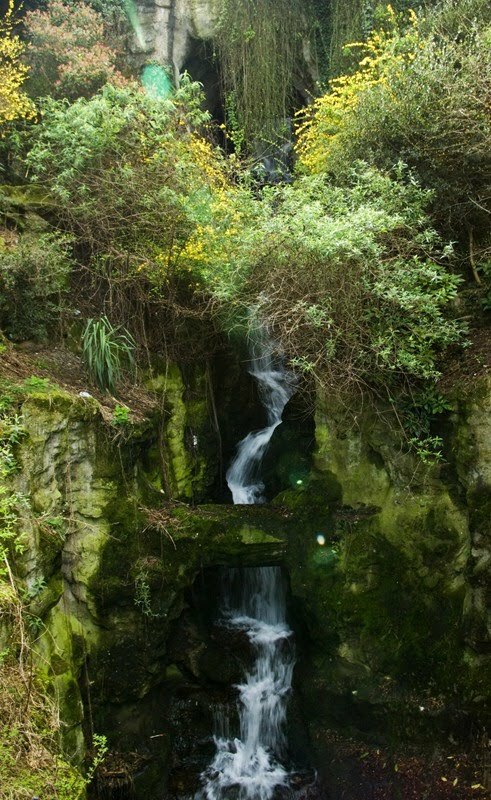 Even if the city of Paris has cemented all of the boulders in place, the waterfall is for real. They just want to preserve it so you can run through it and get a little dirty. Bring shoes that aren’t afraid of the dirt, in case you fancy leaving the paved paths in favor of the uncharted lawns and rocky terrain. You’ll find an abandoned railway line, and plenty of chestnut trees just waiting to be ushered home and rosted over an open fire. With the peaks and cliffs come amazing views of the city, notably an unobstructed view of sunshine and skyline. And it’s all free! This park opens at dawn and closes at dusk all year round. 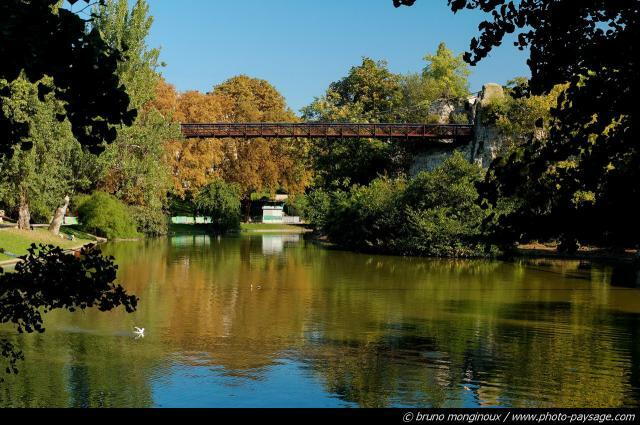 Weather you bring your favorite Alexandre Dumas or a picnic basket full of goodies, this park has a calm and natural beauty that will make your visit a lifetime memory.